"Birdland" is a jazz-fusion instrumental composition written by keyboardist Joe Zawinul, of Weather Report. The song made its first debut on Weather Report’s 7th studio album, Heavy Weather, in 1977 shortly after the addition of virtuoso bassist, Jaco Pastorius. 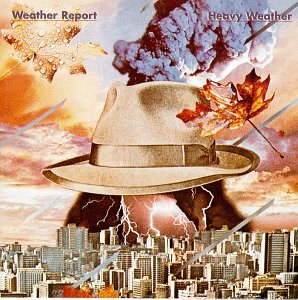 In previous years, the Weather Report had received a moderate amount of commercial success and achievement, however after the release of Heavy Weather, with Birdland at the helm of the album, the band gained an unearthly amount of media success. Birdland gained a number of awards, as well as a few top rankings on the Billboard 200 Music Chart. Briskly after the fusion piece reached the top of the charts, it became known as a jazz standard, and soon entered the set lists of other artists including Buddy Rich, Maynard Ferguson’s big band, The Manhattan Transfer, Quincy Jones, and The String Cheese Incident.